Although ZTE can sell its products to the civilian consumers all over the US, a recent bill that was signed by Donal Trump bans the government use of any device made by the Chinese brand due to security issues. Even more, this bill also forbids the use of Huawei hardware for the same reason. Huawei is doing great nowadays, but ZTE has been having a rough time lately. However, after paying a huge fine, it looked like the three-letter Chinese brand was finally sailing calm waters once again as well. Now, we hear that both have just been hit by a new decision of the US government, although its impact might not be that serious after all. 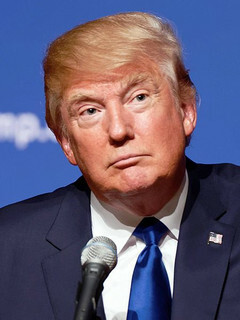 US President Donal Trump has recently signed a defense policy bill that bans the government use of any telecommunications device from Huawei and ZTE or their subsidiaries due to security concerns. Sadly, there are no details to talk about at this time. Fortunately for Huawei and ZTE, this bill has no impact on the ability of these two companies to sell their products to the average Joe (or the average Jane, of course, we do not discriminate). Huawei has already come up with an official statement: "Huawei supports the US government’s goals for better security, but this random addition to the NDAA is ineffective, misguided, and unconstitutional. It does nothing to identify real security risks or improve supply chain security, and will only serve to stifle innovation while increasing internet costs for US consumers and businesses. We believe that the American people deserve equal access to the best possible connections and smart device options, and will keep working to make this happen." On the other hand, ZTE has been silent, since this company is probably busy getting back on track these days. Anyway, the future looks interesting for both of them. This move by the US government may open the way for other brands to step in and replace Huawei and ZTE, but remains to see who will take advantage of this opportunity.